In my household, college was always promoted to me as something that was an absolute given. My grandmother was the first to graduate college from our family in the 50s. She set the bar very high! She believed for everyone in her family to attend either college or the military. 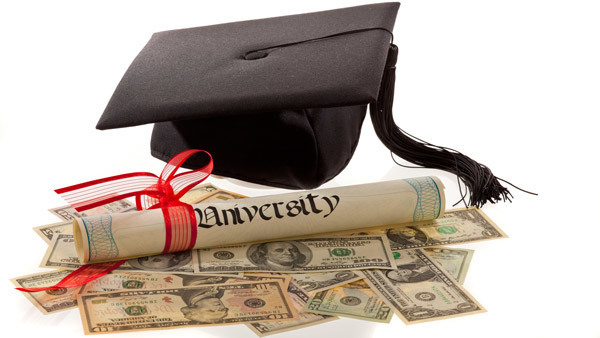 College for me was the only option that was discussed; but we never talked much about how we would finance it. I will share that my mother did a great job at preparing me academically by sending me to the best public schools in the City of Philadelphia. However, my father didn’t appear to be as deeply invested as my mother. My father re-emerged back into my life at the age of 13 years old from being absent since I was 5 years old. Even though him and I lived in the same city, I had not seen or talked to him during the 8-year hiatus. This hiatus was believed to be sparked by the judgement for him to pay child support. His absence was something I became accustomed to and him re-emerging among my high school years initially had me to feel resentful of his return. Upon entering college, I was awarded $8,000 in scholarships from my high school. My freshman year was covered! However, sophomore, junior and senior year were left for question. Junior year my mother became very ill and was diagnosed with Bacterial Meningitis. As a result, she lost her hearing, income and position as a teacher. With my mother’s income down to zero and having to rely on the support of my grandmother who earned around $40,000 in her retirement pension, things became very tight very quick! Because my financial aid reported my mother’s income from the year prior, it appeared as if I was financially OK, meaning not eligible for grants. I refer to this financial state as being in the “sticky middle”, too poor to pay for college and too rich to receive a grant. The introduction of student loans came into my life during my sophomore year of college. My scholarship funding received from high school was exhausted after my freshman year of college. In my family there was not a discussion about student loans or any education around how to repay them. It is my opinion that one possible reason that student loan debt is so high in our country, is due to lack of preparation. My advice to anyone reading this who wants to help their child or family member prepare for college, is to start saving now. 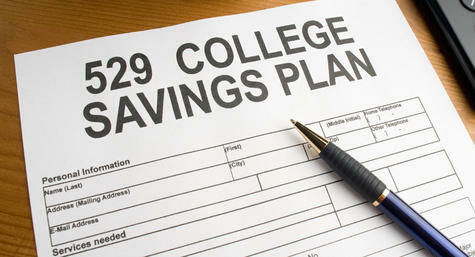 A great but underutilized resource is the 529 plan. Each state has a 529 plan that assist with saving for college through the use of conservative saving rates or aggressive investing. Sharing information such as the 529 plan has empowered me with the ability to empower others. This led me to become an advocate and teacher for others about student loan debt and methods of prevention. You may be reading this and thinking to yourself, “Where was her father during this time”? Great question, he was around in terms of time but not financially. I remember him saying, “I’ll send you something every month to help you out, but it won’t be the amount that your mom was getting for child support”. Child support had been suspended once I turned 18. I remember thinking to myself, if ever I had needed financial support, it was in that first year of college especially. I realized how much financial support I would need and how much I didn’t have. The financial lack I experienced my first year of college, put me into “grind mode”! All through college I held 3 jobs. One on the weekends, and two during the week. I had to learn to financially count on me. Even to this day, the grind does not stop. One stream of income is not enough to create financial security. The reality is, parental support creates a safety blanket, one that is appreciated and wanted. 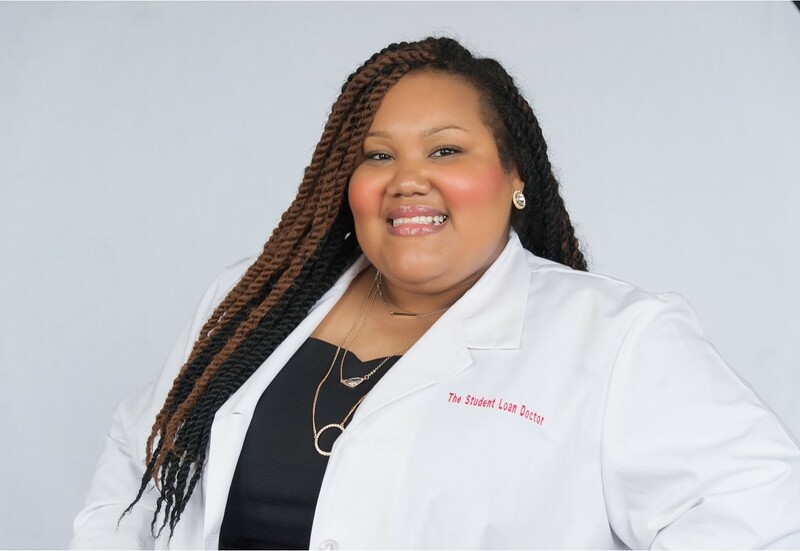 However, if you ask the question, did the lack thereof create this ambitious, goal driven woman who has created a brand for herself now known as The Student Loan Doctor? I’ll respond by saying, ABSOLUTELY!